Scenic Myanmar Countryside. Early morning Moody Landscape of Dirt Road. Family walk trail in Myanmar. 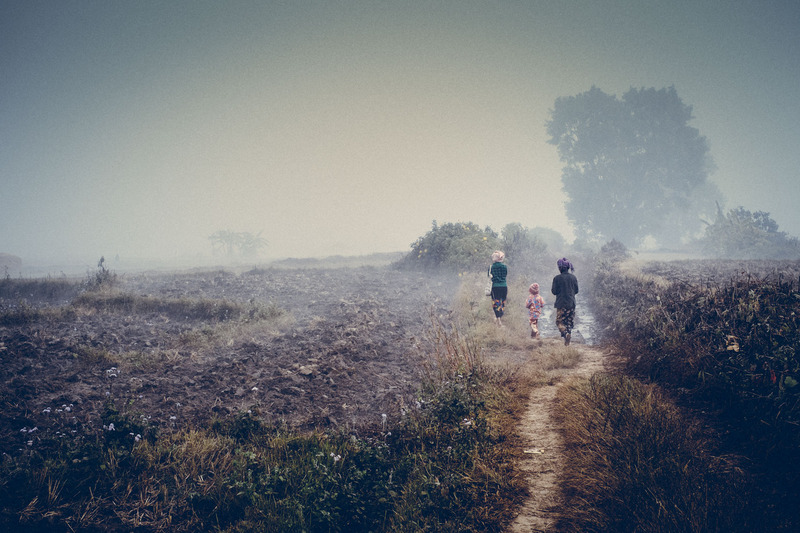 Remote Village Landscape of Family walking on Trail in Myanmar.